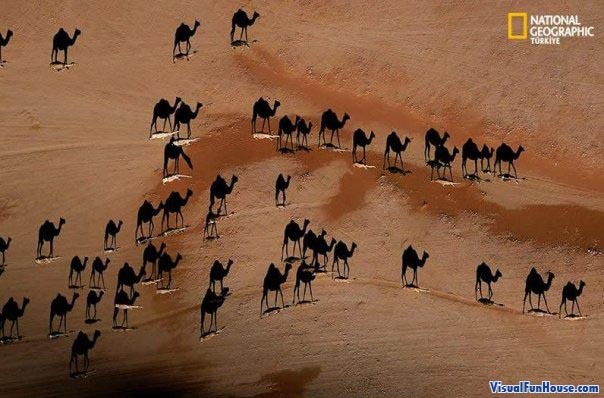 at first glance you see a herd of camels walking across the desert but in actuality the camels are the little things that look like rocks and the ones you first notice are the shadows. Very neat aerial shot.Also be sure to check out the National Geographic Zebra shadows. If you have any of your own illusions you would like to see on this site be sure to submit them. Nice. Explores photographer’s merit and creative idea.